A reading group comprising individuals between 20 – 40 years old of mixed ability who had been out of formal education for a considerable length of time. It targeted breaking down some of the barriers faced by the students, taking the chore out of learning and making reading more pleasurable. 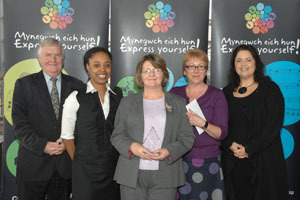 Coleg Glan Hafren won the Further Education category.